A street scene in downtown Perth, on a warm and pleasant summer afternoon in December. A few weeks after my return, my wife and I host slide show and video viewings on a Friday and a Saturday evening in January. 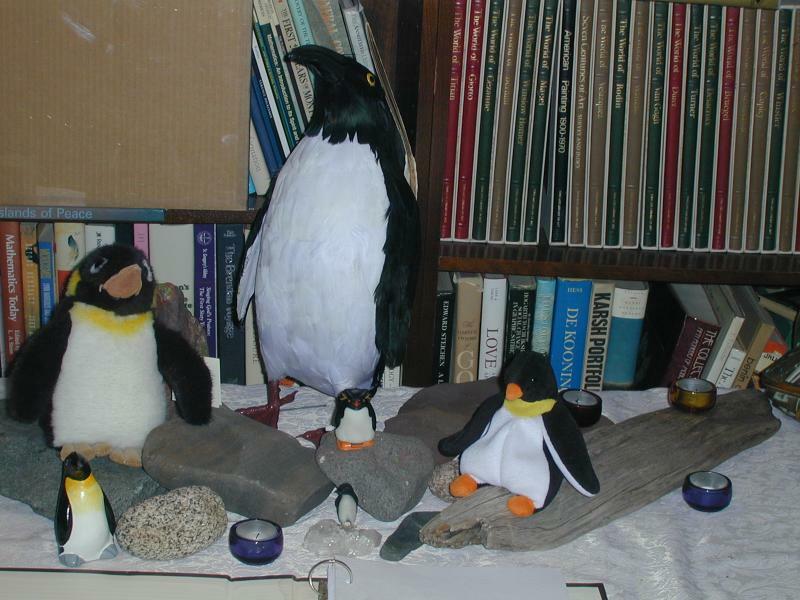 We estimate that more than eighty people attend in total for the two nights. 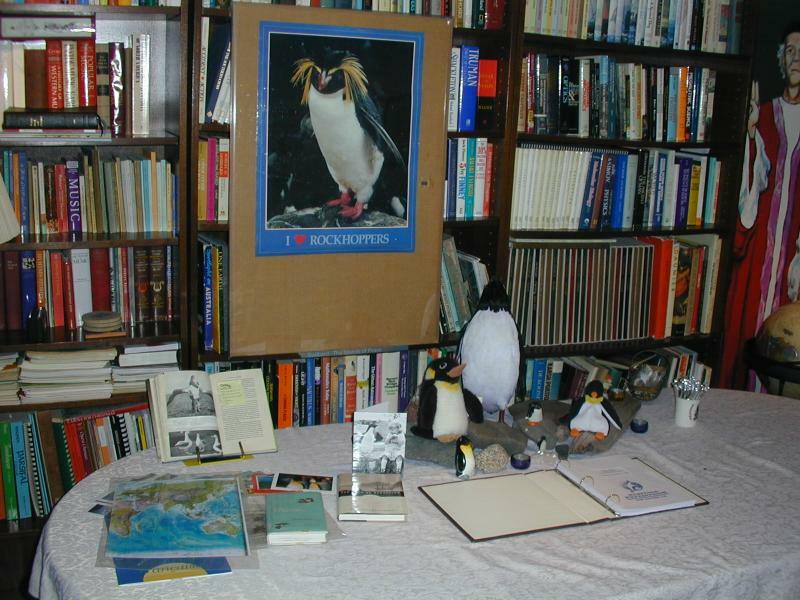 On September 18, 2003, I present an abridged version of the slide show for the Chicago Circumnavigators Club (alas, without the displays below). 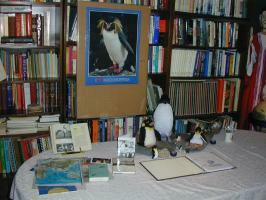 The display table with additional materials related to the slide shows and the voyage. A closeup of the penguin display created by my wife Mary Jo. 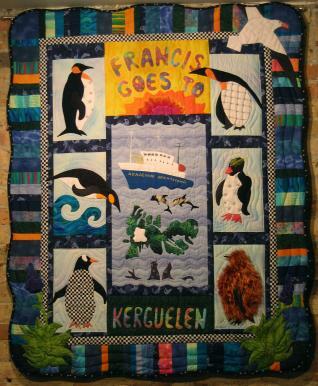 A little more than three years later, my wife, Mary Jo Deysach, completes this magnificent quilt she designed and made to commemorate my voyage. 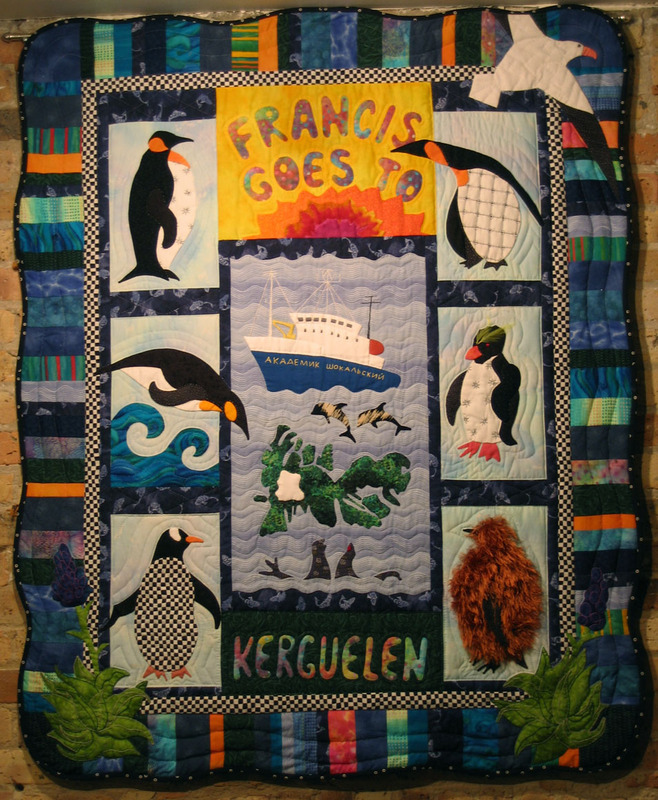 Note the Kerguelen cabbages at the bottom corners of the quilt, the soaring albatross at upper right, and the Akademik Shokalskiy herself (complete with hand-stitched Cyrillic lettering!) in the center. Thanks for visiting this web site! 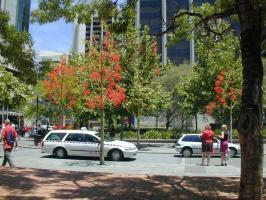 I hope you've enjoyed this opportunity to visit some corners of the world that are not often seen. 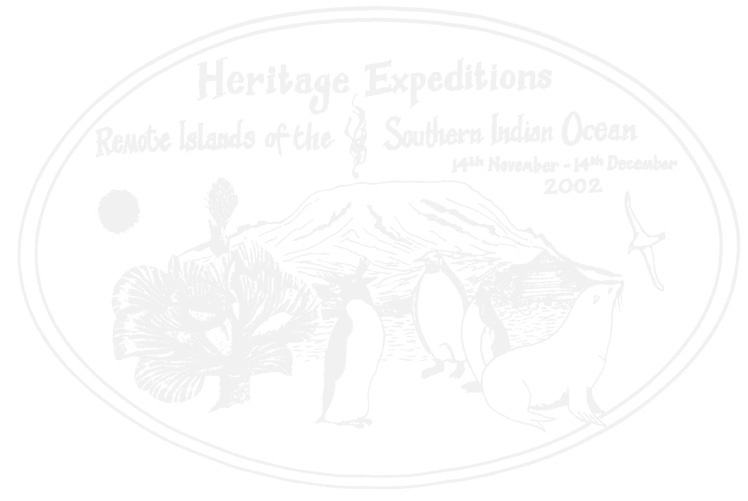 Please add your comments to the visitor's guestbook.